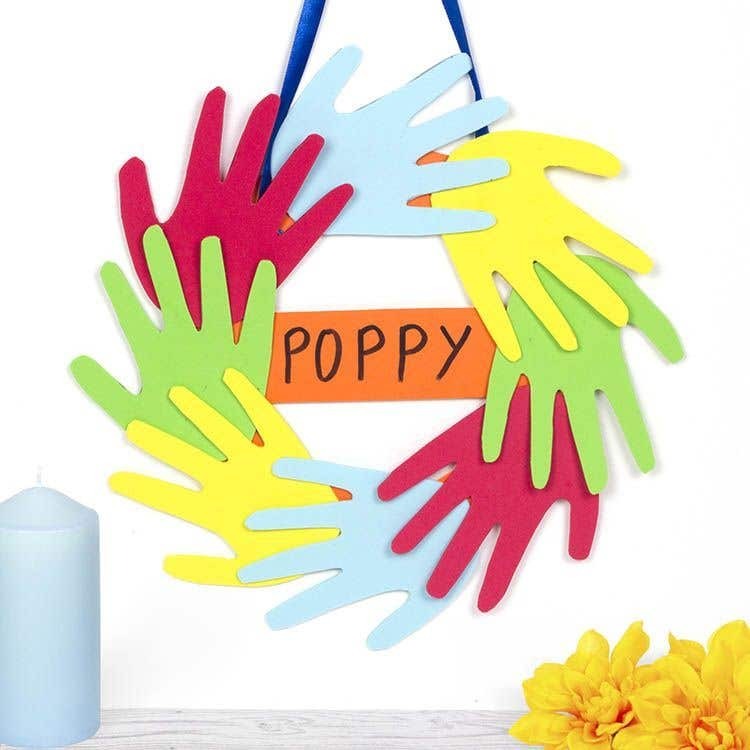 Create a lasting memory with this handprint garland to hang on the bedroom door or wall. Cut out a circle from a sheet of coloured card. Then cut out the inner part of that circle to create a ring for your garland. Take a sheet of red foam and place your hand onto it. 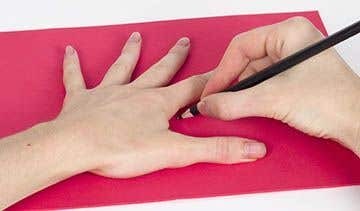 Draw around your hand with a pencil, then cut this shape out. Repeat this to create two red hand shapes. Repeat step two with blue, yellow and green foam to create eight colourful foam hand shapes. Cut a piece of ribbon approximately 40cm long and tie each end to the top of the card circle. 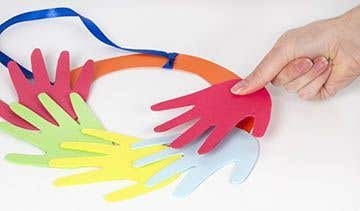 Use double sided tape to stick your foam hands around the card circle. Cut a strip of coloured card and use a black pen to write your name on the front of it. Then stick it to the back of the garland so your name appears through the middle. Ensure your ring is large enough to take eight hands with the centre opening big enough for your name banner.